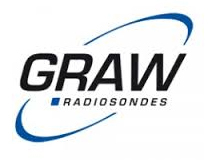 GRAW is a well-established German company developing and manufacturing Upper Air Sounding Systems since 1938. 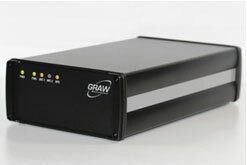 GRAW’s customers are military, academic research and meteorological institutions worldwide. 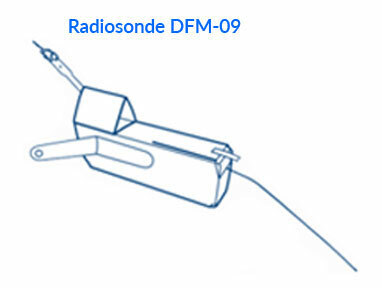 GRAW’s latest state-of-the-art radiosondes, the DFM-09, is currently the smallest and lightest synoptic radiosondes available on the market today. The DFM-09 has dimensions of 200mmx42mmx60mm and weighs just 90 grams (Ready to Fly)! The DFM-09 has already proven itself to many customers worldwide - delivering excellent perform-ance, ease of use, and high reliability. 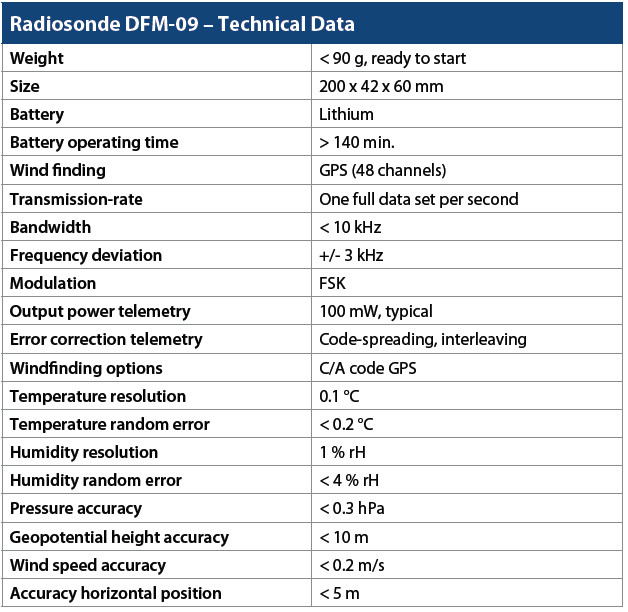 The DFM-09 radiosonde is designed to reliably measure the atmospheric profile of pressure, temperature, humidity, wind speed, and wind direction Continuous data sets are sent to the groundstation by a high quality radio-telemetry link. Fulfills all transportation and storage regulations Differential C/A-Code GPS for Wind Finding The GRAW radiosonde family has a standard on-board C/A code-correlated GPS receiver. Fully coded GPS allows the groundstation to be used on the move, such as launching from a vehicle or from a ship. 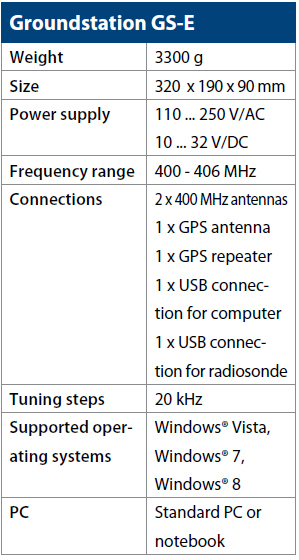 Each sonde contains a high specification telemetry transmitter. The radio transmission from the sonde meets demanding radio requirements and can cope with long slant ranges, even as far as 300 km. The use of code-spreading, a method where link-errors can be readily detected and corrected and other modern digital radio techniques such as interleaving which minimises the effect of burst errors, ensures that the data is reliably received at the distant ground station. The continuous on-board measurements of all sensors and transmission of their data is performed in a time-window of less than one second. Additionally, in a spare channel, diagnostic information from the sonde’s on-board Built In Test (BIT) systems are transmitted, thus ensuring the data sent is reliable during the ascent. Each Radiosondes can transmit in a narrow channel anywhere within the meteorological band (400 to 406 MHz). The sonde uses an on-board frequency synthesiser, which is automatically set to the desired transmission channel during initialisation. The highly-sensitive ground station receiver system does not require a steered antenna and can receive valid data from sondes up to 300 km slant range using its compact dual antenna set. The main function of the GS-E ground station is receiving the Radiosondes signal and providing local GPS information. All functions of the GS-E are software-controlled by a standard PC via USB. The core of the GS-E is a so-called software defined receiver. A Software Defined Receiver (SDR) is such where demodulation and the last IF (intermediate frequency) processing are done entirely in software. Usually this means using a DSP, but in the case of the GS-E, this processing is done on a PC. Most modern PCs are now faster and more powerful than many DSPs were only a few years ago. The Radiosondes signal is received by a software-defined PC-based narrowband receiver (400 MHz to 406 MHz). This PC-based receiver is USB-controlled and compatible with modern desktop and notebook computers with USB interface. The GS-E provides a USB controlled antenna switch. This gives the possibility to connect two 400 MHz antennas at the same time to ensure 100 % coverage. The selection of the right antenna is done completely automatically by the software GRAWMET by continuously checking the signal strength of both inputs. An integrated GPS module provides exact position information of the ground station. This GPS information can be used for applying differential GPS mode. The GS-E is fully controlled by the meteorological software GRAWMET via USB. This includes the tuning of the receiving frequency, control of AFC (Automatic Frequency Control), selecting of the optimal filters, frequency sweeping, selection of the right antenna, etc. 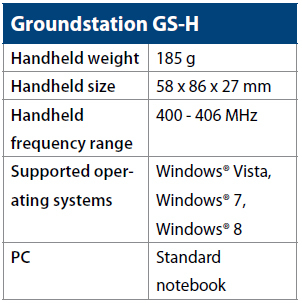 The GS-H groundstation fulfils all the requirements of a modern, highlymobile system: it is extremely small, light and ready for action in no time and offers maximum reliability during use. It simply consists of a small and extremely light-weight 400 MHz handheld receiver (185 g) which is connected to a standard notebook. External mobile antenna systems are not required as the integrated receiving antenna of the handheld receiver is perfectly adequate for standard sounding. The notebook is equipped with our GRAWMET software for evaluating meteorological measuring data. This provides you with extreme flexibility and allows you to even reach difficult areas of application with ease. Due to the size and flexibility, ease of use and not least its attractive price, the system is also suitable for facilities with limited budgets such as universities and research institutes. We would be pleased to provide you with an unbeatable quote. 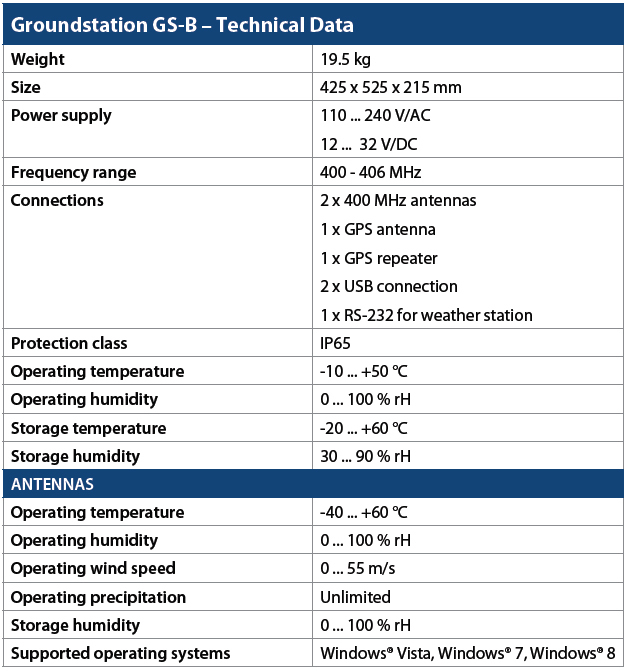 The GS-B groundstation is the ideal companion for field work and expeditions. The extremely robust Pelicase housing is equipped with an integrated receiver module, an antenna switch and a GPS module for stationary GPS. In addition, a resistant and water-proof notebook (Toughbook) with pre-installed software for evaluating meteorological data is installed in the housing. All connections are also water-proof. In addition to operation with mains voltage (100 to 240 V/AC), the groundstation can also be operated with low voltage (12 to 30 V/DC). This enables connection to the power supply of a utility vehicle, for example. A powerful back-up battery also provides power to the groundstation for over 90 minutes in the event of a disruption (e.g. if the supply voltage fails), so that you can always complete your sounding. Just like its little sister GS-E, the GS-B groundstation is completely oftwarecontrolled and can be operated with two 400 MHz antennas for optimal reception. In addition it offers the option of communicating with external weather stations via an RS-232 interface. Our antennas can be used universally, both for stationary and mobile purposes. The standard antenna system consists of an omnidirectional 400 MHz antenna, a GPS antenna for stationary GPS and, optionally, a helical 400 MHz antenna which is used for overhead sounding. They are easy to install on masts on buildings or on mobile carrier systems using appropriate brackets. We offer mobile carrier systems in a variety of versions and finishings. The mobile tripod systems provide optimal support even in difficult sounding situations, e.g. when there is no wind (for overhead sounding). An omnidirectional, helical and a GPS antenna are mounted on the folding tripod. The tripod has three continuously adjustable feet as well as a bracing mechanism and stands steadily on uneven ground or even on slopes. We can adjust the length of the connection cable to meet your needs. When it comes to transportation, we offer an optional aluminium transport box which accommodates the complete antenna system including all the connection cables and accessories. 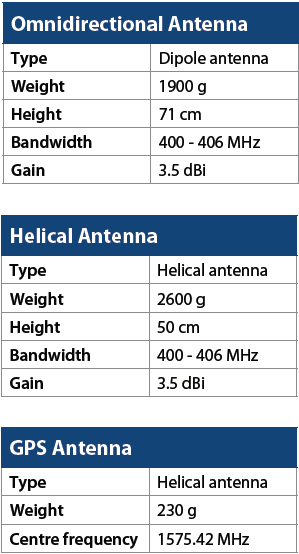 In favour of lower procurement costs, reduced weight and increased flexibility the helical antenna can also be omitted, even though this version does not optimally cover all receiving angles. However, the system is perfectly adequate for the majority of soundings. For demanding requirements in terms of mobility and reception accuracy, we’ve come up with something a little special: the mobile tilting/folding antenna. It is equipped with an omnidirectional 400 MHz antenna and a GPS antenna. However the tripod is smaller and lighter than the standard tripod. In addition, the carrier fixture can be swivelled or tilted horizontally and vertically. This guarantees optimal reception even for overhead sounding in no wind. GRAWMET is the meteorological software system for all GRAW-groundstations based on Windows XP, Vista or Windows 7. 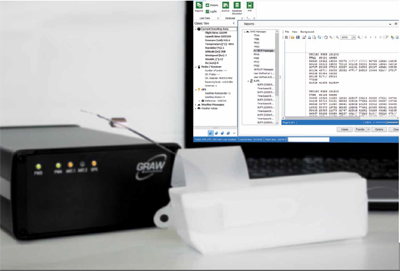 The main functions of GRAWMET are the initialisation of the radiosonde for launch and the evaluation and display of radiosonde data during the ascent. The system generates WMO and STANAG weather messages as well as various graphical and tabulated evaluations. The software uses the common windows style graphical user interface (GUI) making it easy to work with. Data from the radiosonde is received by the groundstation for further processing by GRAWMET. The program computes and automatically generates standardised current weather messages upon reaching the specific altitude limit. Optionally, the user can change the altitude limits. Provisional computation of weather messages before the set altitude limits are reached is also possible. For greater clarity, all messages computed are presented in the status tree. Other messages are available on request These weather messages are displayed on the screen in tabulated form and can be filed for future reference. During the ascent, all data of the weather message can be viewed by scrolling. The message headings and body of the message can be later edited in order to supplement messages, if incomplete. GRAWMET creates the following weather indices automatically: LFC, LCL, CCL, Showalter Index, CAPE, CINH, EL-Equilibrium Level, K-Index, Total Index, KO Index. 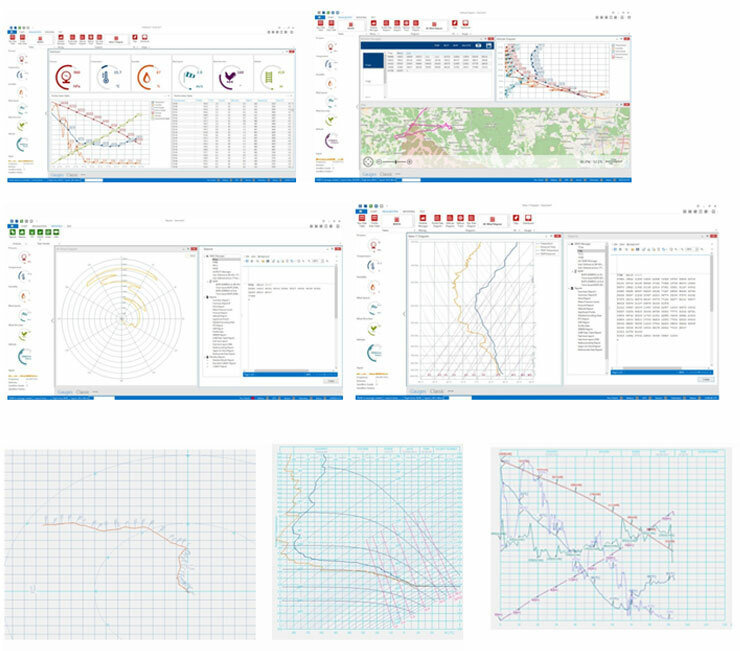 Various parameters can be displayed and printed in the form of different graphical presentations: Thermodynamic Diagram, Tephigram, T-Log (P) Diagram, Emagram, Hodograph, Altitude Diagram, Refractive Index, etc. The system is designed as a multiple language system. Apart from the main languages (English, German, French, Spanish), several other languages are available. Please contact us! The flight-path of the radiosonde can also be monitored by Google-Earth. We can take care of it. We provide the right equipment for any sounding and all requirements. From balloons of different sizes, unwinders and parachutes to balloon filling units. We offer the SO-2 balloon filling unit in different designs for filling balloons with helium or hydrogen and for varied balloon sizes. A mechanical filling stop ensures the correct amount of gas so that you reach the required sounding speed and altitude. And for those of you on the go, we have a matching transport box for carrying your equipment. The SO-3 balloon filling unit is our smallest version for use with helium. It was developed for extremely mobile use and simply consists of a filler neck, a connecting hose with pressure reducer and some filling weights. The first few metres of ascent pose the most risk for the radiosonde in the event of strong winds. Strong, sudden turbulence and the associated pulling forces place strain on the attachment and can damage the radiosonde. To avoid this, we recommend the use of unwinders. They reduce the pulling forces at the start of ascent until the balloon has reached Slow but steady wins the race its ascent rate. The optional parachute ensures that the radiosonde is able to safely reach solid ground again following the sounding.